Tawny Cottage01263 715779work01603 870304fax Self-cateringThis charming end terrace mid Victorian cottage sits tucked away behind the main village green in Great Massingham. It is very comfortable, well equipped and a great place to stay for a romantic holiday, has easy access to village amenities, and wonderful local countryside walks and cycling routes. Exterior image of this attractive end of terrace property. 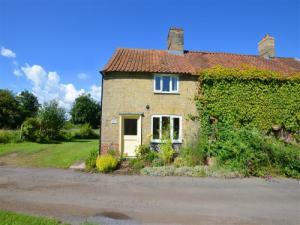 This charming end terrace mid Victorian cottage sits tucked away behind the main village green in Great Massingham. It is very comfortable, well equipped and a great place to stay for a romantic holiday, has easy access to village amenities, and wonderful local countryside walks and cycling routes.